June have lot of feature but i think that one of most important is the wishlist feature that comes included within the theme. So you don’t have to install plugins that aren’t compatible. You have only to install the demos you want and the wishlist will be activated and styled properly. This is very important because makes your online WooCommerce shop looks very profesional and generates sales. 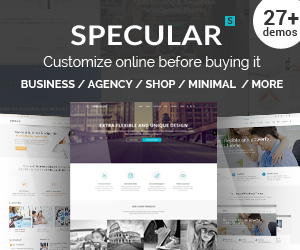 Infinite features bundled one of the best WooCommerce Theme on the market. Some Features/Plugins : draggable elements and spaces, inline text edit, live changes, page to page communication, predefined elements and content blocks, team collaboration builder, live header builder, live layout changes, gravity forms, tablepress, woocommerce, mailchimp, WP charts and Graphs Lite, shortcut accessibility, team collaboration, boosted performance, CSS3 animations, unsplash integrated, side area style. New Features : Apple Live Photo, gradients overlay backgrounds, justify galleries, photo filters inspired by instagram, background new blending options, blog post images news. 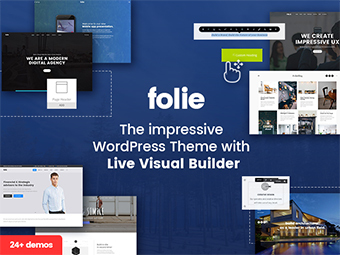 Folie Theme is built with our new innovative Page Builder. This Builder has the ability to change the site directly without annoying refresh waitings. Everything will change in seconds and you will see it live. Simple and intuitive! Now you can add portfolios, blog, testimonials and other components as elements from the Builder and every page of your website will be displayed as a white canvas, in which you add your items fitting your requirements. No more random rules and boundaries! Folie theme is now the first wordpress theme that will give you the idea of using Photoshop while creating with it. See Folie online presentation here for more detailed information on this amazing new Builder 🙂 . Some Features/Plugins : draggable elements and spaces, inline text edit, live changes, page to page communication, predefined elements and content blocks, accelerated animations, optimized code, narrated video tutorials, lightbox, apple live photo, envato toolkit, WPML, unsplash images, SEO, justify galleries, new innovative design. New Features : Apple Live Photo, gradients overlay backgrounds, justify galleries, photo filters inspired by instagram, background new blending options, blog post images news, live page builder, live header builder. Satine theme is designed for usage with WooCommerce as well as Easy Digital Downloads. The grey as well as white shades develop an elegant atmosphere, as well as the grid-based format is suitable for making a portfolio or for sharing links to your most current article. It provides an exceptional design template for any type of kinds of organisations. It has many multi idea demos available for you to browse. Some Features/Plugins : woocommerce, extensive typography options, price filter, banner shortcode, parallax feature, vertical split slider, parallax backgrounds, SEO. The theme comes without a sidebar, guaranteeing the emphasis is constantly on your words and photos. It was an extremely minimalistic theme with a hideous black sidebar and a straightforward header. 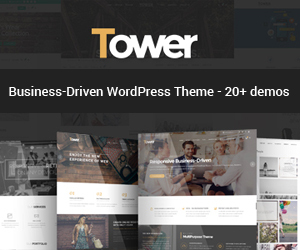 This theme has a boutique really feel that will match any kind of job requiring a stylish style and layout. Some Features/Plugins : dropdown cart widget, pop up subscription form, wishlist, shopping cart, side area, inner pages, many shortcodes, split scrolling sections shortcode, integrated search. Providing their consumers unlimited alternatives and optional features called “expansions” which could be activated if needed but likewise left unactivated to maintain the theme slim and fast shows that also multi function themes like Artemis can be very efficiency driven with the ideal design and also just packing files that are really used. A straightforward design is just the surface area of this modern theme, developed on the Bootstrap structure with CSS3 as well as HTML5 code. Some Features/Plugins : stylish design, theme customizer, creative menus, product quickview, dark and bright demos, shop sidebar, stylish blog. There is an unlimited variety of color personalization settings, making it possible for users to produce an eCommerce web page that flawlessly matches their vision. This creates a totally new presentation experience that functions straight out of package as you’re building web content. Were those abilities inadequate, Depot comes fully integrated with store capability, permitting your users to purchase premium codes or other service or products you could consider right off your web site, using the preferred “WooCommerce” eCommerce plugin. Some Features/Plugins : various infographic shortcodes, side area, anchor link functionality, vertical header type, boxed layouts, WPML, SEO.